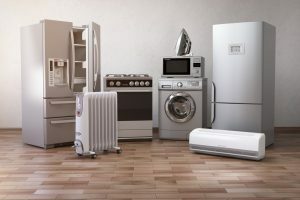 When buying big-ticket items for home improvement, such as major appliances and exterior doors, the decision-making process is driven by fear of mistakes. It’s more about purchasing the wrong, costly products than about spending money. Everybody wants good value and a good price, but nobody is comfortable pulling the trigger without confidence. Refrigerators, bathtubs and air conditioners among others have unique features and, therefore, unique personalities. If your home improvement project is close to your heart, choose products that represent the values in which you believe. Aesthetics matters, but form should always follow function. Reputable whole-house renovators and new addition contractors would tell you to understand how it can improve the way your home currently works before buying it. Even if you’ve fallen in love with one particular product, explore your other options to make the best decision. Loyalty is good when a certain brand has never let you down, but don’t let it shackle you. According to a study, many home improvement shoppers are not that brand-loyal when purchasing big-ticket items. After all, you can find many products on the market at varying price points. Although you might eventually end up choosing the brand you trust based on first-hand experience, it wouldn’t hurt to discover what else is out there. Be it for your bathroom or kitchen remodeling project, place a premium on visual harmony. Unless you deliberately want to celebrate eclecticism, look for a product you can tie with the rest of your home. This way, it can mesh with your space and potentially contribute to architectural authenticity. Avoid big mistakes when buying big-ticket home items. Turn to Design Build Remodeling Group of Maryland to make the right decisions and guarantee the success of your project. We also offer financing options to pull your renovation or addition off without making your budget a nightmare. Call us at (443) 300-2268 today to schedule your in-home consultation in Bethesda, MD, or any surrounding area.